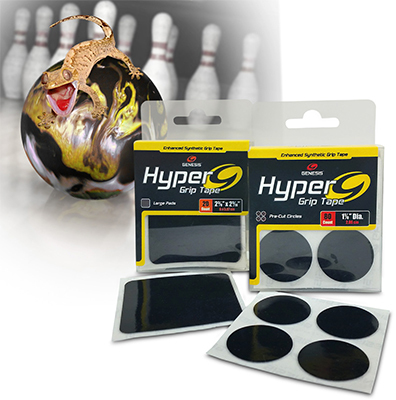 Inspired by the gecko, Hyper Grip is an all new technology in tape material that addresses the need for consistency in grip pressure without being restrictive to movement. It simply grabs when you want, then releases without any binding or sticking. Your new, more relaxed grip will relieve tension & fatigue in your hand, while increasing your power and consistency. It’s also great for those suffering from a weak grip or as protection against calluses! Also great for 2 handers, no-thumbers or those with weak grips.